Synopsis: The life of celebrated but reclusive author, J.D. Salinger, who gained worldwide fame with the publication of his novel, “The Catcher in the Rye”. 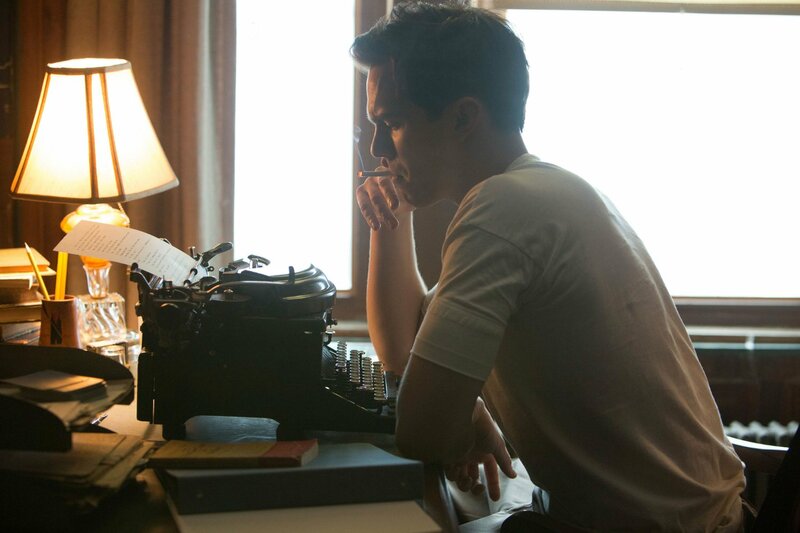 Review: As a wanna-be writer I found REBEL IN THE RYE an intriguing watch. 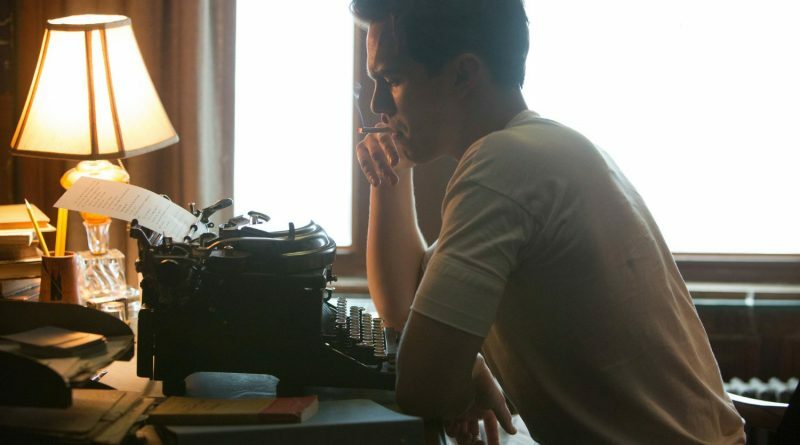 The writing process coupled with the determination and character of novelist J.D Salinger (Nicholas Hoult) is what makes Rebel the film it is. Published in 1951 Catcher in the Rye has become one of the most sold books in American literature. But it almost never happened. This film follows Salinger from his early days in college to the finishing of his publishing career; which ended pretty abruptly. What I loved most about the film is the setting of the 1940’s and 50’s. Even with the onset of WWII it still seems like such a fantastic period to live. Writing and stories were the popular elements of the day. Publications like The New Yorker thrived on story tellers. The process of submitting a story and hoping it made print was the driving force of many a writer. Salinger was no doubt a creative writer but had to learn the art of storytelling; much of which he learned in school from a college professor, Whit Burnett (Kevin Spacey). The acting by Hoult and Spacey – who take up most of the screen time – is solid and the relationship of the characters is believable. Salinger was a cocky, sarcastic, young man but very subdued in his delivery. He comes off less of a jerk due to his soft demeanor. It is only in his mid life do the quirks become more apparent. Hoult captures all of these nuances with skilled emotion. It is not a perfect film and many may find it slow and tedious. If you are not a fan of the writer or the craft you might be hard pressed to find any thing to cling to. Those who like a behind the scenes peak at those who made an impact on our society for decades will enjoy it for sure. 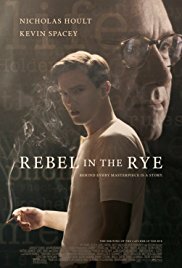 REBEL IN THE RYE is rated PG-13 for some language including sexual references, brief violence, and smoking. There is nothing in this film that stands out as offensive. 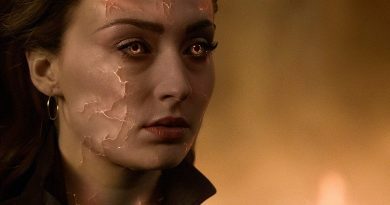 In fact it could easily run on network television with no edits. Not sure I can completely say it is worth full box office money but if you wait for the home release be sure and see it then.